What do you mean “All Spirits Busy, Please Try Again Later”?!?! Mages vs. Shaman. Hermetic vs. Shamanic. Focused, methodical and intellectual vs. Perceptive, intuitive and active. They both cast spells, but the Shaman narrows in on certain sets and excels at them while the mage is reasonably good at everything. However, in the realm of summoning spirits, both kinds of magicians aren’t all that different, and the advantage is almost entirely with the Mage. Shamanic spirits probably have the better abilities overall, but the Shaman has a lot of negatives in dealing with them. First, they can have only one spirit active – where the mage can have many. The shaman must summon the spirit when he needs it. This isn’t a good thing, as this is often in the middle of and fight (and so he’s dealing with Drain and often withholding dice for other problems or dealing with penalties or damage). The Mage can summon a spirit well in advance, not even using an action to get several magical allies into a desperate fight or have one perform an action when needed, and can use other dice pools to make sure the summoning very successful. The Mage can also afford a lot more risk than the Shaman – taking a lot of Drain is less dangerous when summoning under controlled conditions than when you may have to defend yourself against goons, ninjas, ghouls or whatever in the next two minutes. This is, suffice it to say, not in keeping with real-world Shamanic lore, the in-universe descriptions where Shaman are supposed to have a strong relationship with spirits, treating them as individuals and with respect. In practice, the Shaman just has one disposable minion he can summon – a minion likely less powerful than the Mage’s. Worse, the Shaman has even less relationship with the spirits he summons than the Mage has with even the most mindless elemental. So, I had an idea – why not give the Shaman summoning rules which back up the way they’re written? Mechanically, it’s be a bit more even with the Mage’s ability – although that’s less about balance and more about the fact that they writers didn’t notice how the specific advantages they handed Hermetic magic worked in actual gameplay. Specifically, the disadvantages they hand Hermetics are disadvantages for the character, not the player. The disadvantages for Shamans can effectively lock the player out of choosing certain courses of action, but don’t really affect the character. I’m actually good either way. Different games have different ways of handling this. For example, Dungeons and Dragons is a classic player-oriented game. Sure, you can go into doing roleplaying, but at its heart, the character is mostly a sheet and you play the game directly. There’s nothing preventing you as the player from making decisions. Sure, the GM may give you a swift kick for making decisions based on out-of-game logic, but it’s not really against the game and it doesn’t interrupt gameplay. Likewise, a great many people don’t really distinguish their character with that much personality or backstory, because it’s not important. Exalted is completely the opposite. In Exalted, the character may have extensive backstory and personality unto him-, her-, or itself. Exalts are supposed to be extremely distinctive, even down to personalized powers and characters flaws. And while not everyone does things the intended way, you’re supposed to look at the rules as more of a “broad guideline” rather than rules for defining how the characters interact with the world. In short, you can either play the character, or you can play the game. Shadowrun has some rules which trend both ways – and most games do. There’s no law which says you have to do only one or the other. However, you do need to be very careful about how and when you cross these up. Hence the problem here: Mages are limited by in-game elements. Shaman are limited by out-of-game elements. Or, to put it another way, the GM must go out of his way to stop a Mage from using his spirits in the exact way the player desires. However, the GM must deliberately choose the circumstances which allow a Shaman to use his spirits. Here are a few examples: If both a mage and a Shaman are sneaking into a corporate facility, the Mage can just call up spirits. He summoned them a while ago, and while it cost the character money, it didn’t require any thought or limited resources from the player. The character may have quite a few, and they can go anywhere and act at the same time. If he’s skilled enough, the mage may have half a dozen spirits nigh-invulnerable to physical attack, all smarter, stronger, and faster than a peak-performance human even aside from their innate magical talents. And he can do the difficult work in relative safety, protected by assistants or the party, off-screen with everything decided by die rolls. The Shaman, instead, must summon his spirit (yes, just one) on the fly and carefully balance the risk of Drain or an out-of-control spirit against the need for its aid. The Shaman can’t even decide which kind of spirit he gets: that’s determined entirely by the local environment – i.e., by the GM. If the Shaman moves from one environment to another, the spirit does not follow, and the Shaman may waste some of the success he had in summoning the spirit. Before you ask, no, it’s not always easy or even possible to know which domain you’re in. That’s definitely a conflict. One set of restrictions affects the player. But the other affects the character, but may not hinder the player at all. And this is the basic problem. The trade-offs involved aren’t even related. So, what are my specific recommendations? If we feel that there is a problem (and you might not, which may work perfectly well for your games) how we do deal with it? Let’s take a look at the idea I pointed out above and use them as a guideline, as well as bringing out some important points from Shadowrun lore and the game’s style. First, the Shaman should have an ongoing relationship to certain spirits. Second, Shaman are generally more flexible than Mages. Third, Shamanic Spirits have domains – places or regions in which they have special power. Fourth, I don’t want to change anything about the general summoning rules or spirits, because that gets to be a big pain and makes the whole thing less modular with the existing system. The first thing that comes to mind is the idea of giving Shaman specific spirits. The player characters will just have to deal with them. If the GM wants, they can even develop the spirits as personalities over time, but that depends on the group. If you do, then keep in mind that Shamanic spirits definitely remember how you’ve treated them. They can’t disobey the summoner, but they may “interpret” demands in very unpleasant ways. In this version, the Shaman always summons a particular, named spirit when he summons one of a specific type. This has some advantages. For one, unlike an Elemental, the spirit can and will protect the magician, at least as long as it has services left. Note that the Shaman doesn’t have to order this; the spirit will reasonably interpret his desires or needs within the bounds of its intellect. The spirit can also act if the shaman is helpless, unconscious, drugged, or otherwise incapable of requesting aid. More importantly, the Shaman can store a number of Services equal to his Magic score. He must perform a summoning ritual at a specific Force, and does get any totem bonuses as long as he carries out the ritual in an appropriate domain. It’s easiest to conjure and store all services at the same Force, but it’s not required. These services are available for any spirit the shaman conjures. Note that while the Shaman doesn’t require costly components to summon a spirit, he does need them for these generic Services. Part of the cost involves making pleasing sacrifices. Shaman with appropriate skills can locate materials as per usual the Enchanting rules. The Shaman does still need to make a conjuration test to call up a spirit. However, shamanic spirits can also call upon lesser spirits of their own type once summoned. A Spirit of Man, or Spirit of the Wild, of Spirit of (Whatever) automatically has unlimited services of another spirit of the same type one-third its own Force (rounded down). Of course, the minor spirit is pretty pathetic, but unlimited services are pretty handy. 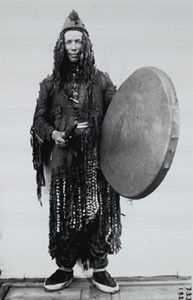 Note that the minor spirit will only obey the greater – it does not listen to the shaman. So far, this is just a testbed for rules. IF anyone would like to try them out, feel free to comment here how it functions in actual practice and if the players like the change. Well, that’s workable. There is one other advantage for Shamanic Conjurers though; they can set a spirit to doing something – such as covering their back trail and delaying anyone following them – and then go elsewhere and leave it. Calling up a new force-2 spirit every time you hit a new domain and having it brief you on the area, provide some minor help while you’re there, and then cover for you when you leave is subtly handy, even if it’s not a lot of use in combat. Sadly, combat does tend to dominate most other considerations. Few other things are quite so vital when they DO come up. I did consiser that – and it’s true that Shamic spirits are slightly more useful for stealth purposes. But it’s a lot of work and relies on the circumstances. Part of the overall issue, really.